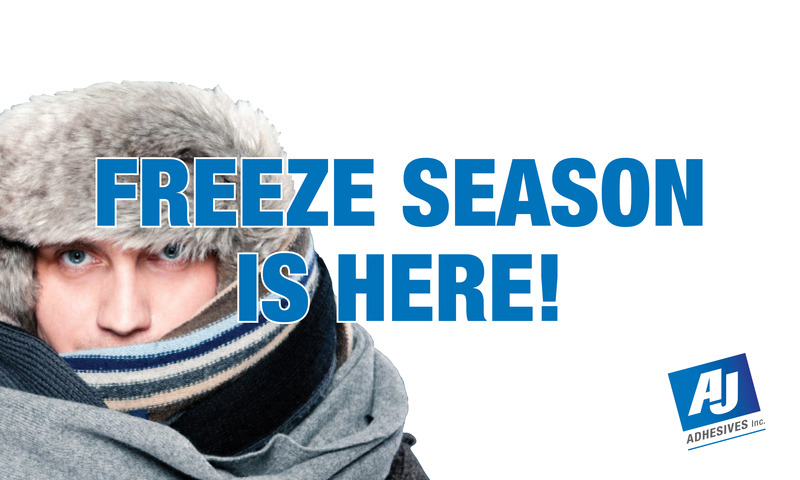 Do You Know How to Check Your Liquid Glue This Freeze Season? With freeze season here it’s important to know how to protect your liquid products. This winter please be sure your receiving department knows to do the following before signing the carrier’s delivery receipt. *If freeze indicator was used you must still check the product as mentioned above. If you discover any of these conditions and the Bill Of Lading is marked “Protect From Freezing” reject the shipment and state your exception in writing on the delivery receipt. If you choose to receive the shipment, you assume responsibility for the condition of the freight received. If you discover a problem after the carrier has left, call the carrier and request an immediate inspection. For other questions, call your AJ Adhesives Customer Service Representative at 314.652.4583. For more tips LIKE our AJ Facebook page!